Luckily it turned out as good as ever. Only wished I could have shared it with my Mom. 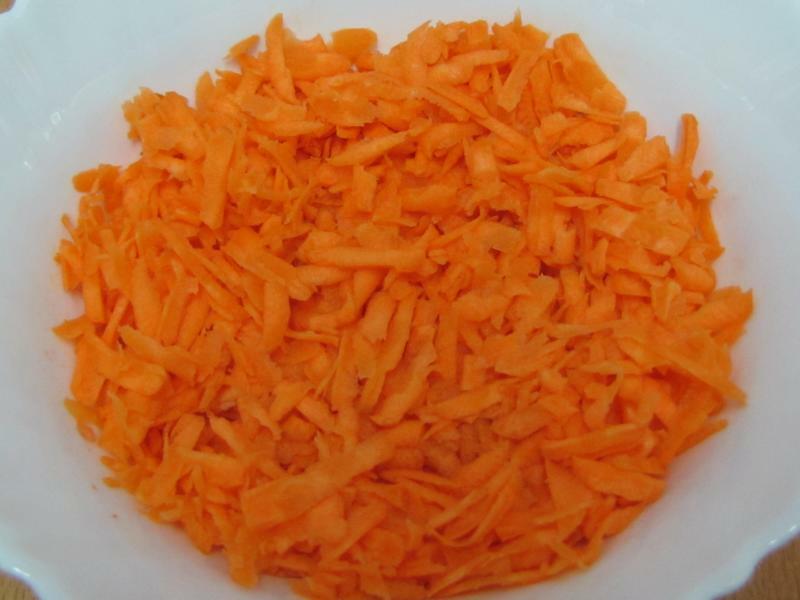 The carrots in India used to be very red and the end result used to be a rich red colored Halwa. I’ve never seen those red carrots here in the UAE. So, grate the orange carrots! Honestly, this is one of the easiest, yummiest desserts of all time… All you need is some milk and carrots…. Pour them together and let it simmer. I know that some people like to add condensed milk or khoya (dry form of condensed milk). It can reduce cooking time and make the dessert richer. But most of all you need patience as it simmers there in front of you, until the milk condenses and is combined with the carrots. Finally, adding to the decadence, sprinkle some nuts fried in pure ghee. 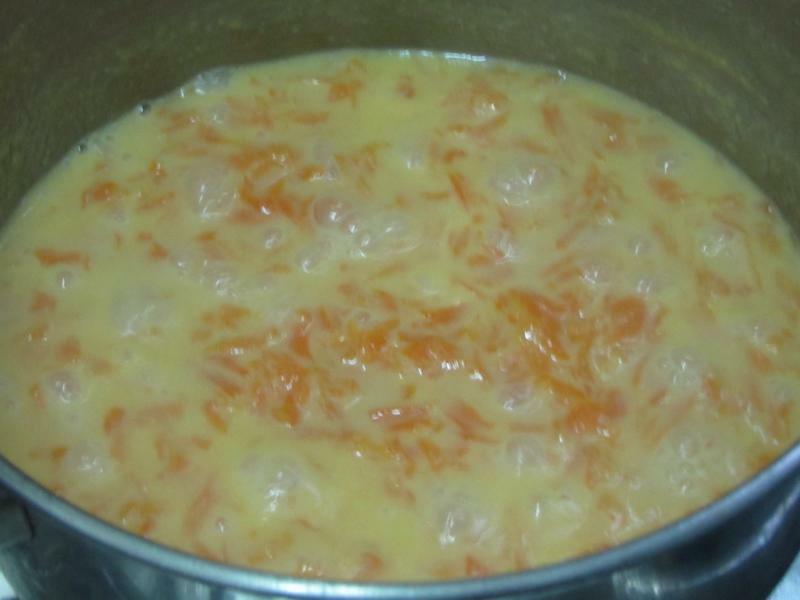 In a thick bottomed pan pour the milk and add the grated carrots. 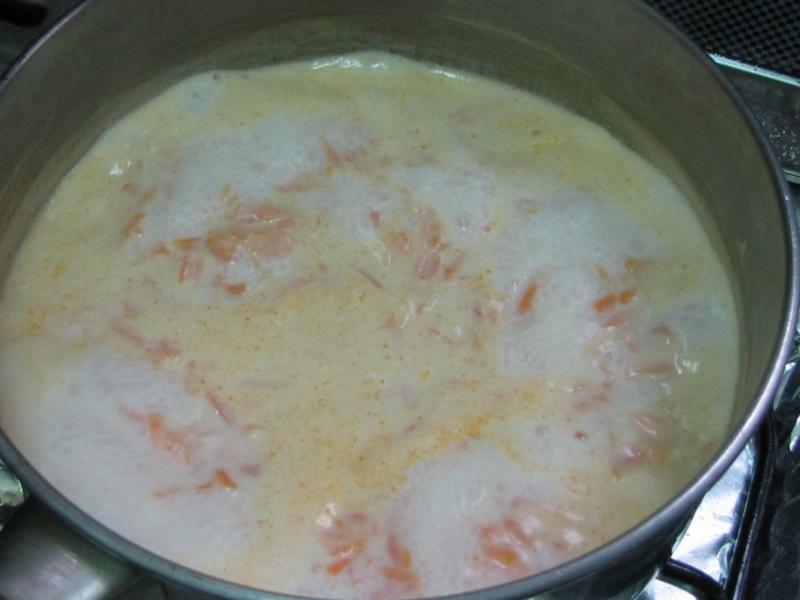 After the milk comes to a boil, let the mixture simmer while the carrots cook. Stir occasionally till the milk reduces to half. This would take around 25-30 minutes. Once the milk has reduced to half, add the sugar. Stir well. Then add 1 tblsp. of ghee and stir. Now add the cardamom powder and keep stirring. The mix should be almost dry by now but not completely dry. In another small pan, heat the remaining ghee and fry the nuts till they turn slightly brown. Pour this over the carrot mix. Serve hot or chill the mix for a while and serve. Yumminess!!!!! *** You can even cook the carrots in around 3-4 tblsp. of water before adding the milk. Or you can add condensed milk to reduce cooking time. Tell me if you have tried either and what you thought of the results. I love it too! I have a quick round time for this one… I won’t grate… jus run it for few seconds in the mixed and add sugar plus milkmaid… done. I do this way for my daughter when she was some 7 months n was on the puree diet;)…. still works good for me! Hot gajar halea with cold vanila ice cream … great combination!!! 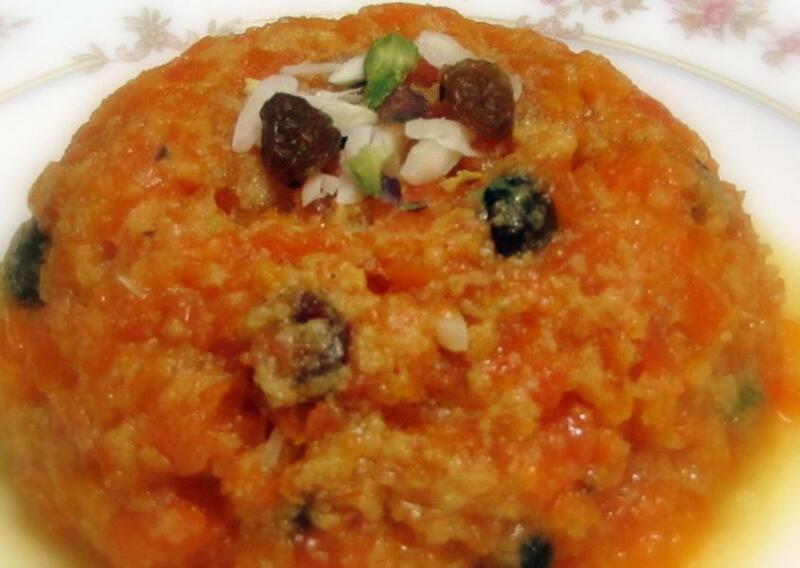 I love gajar ka halwa. 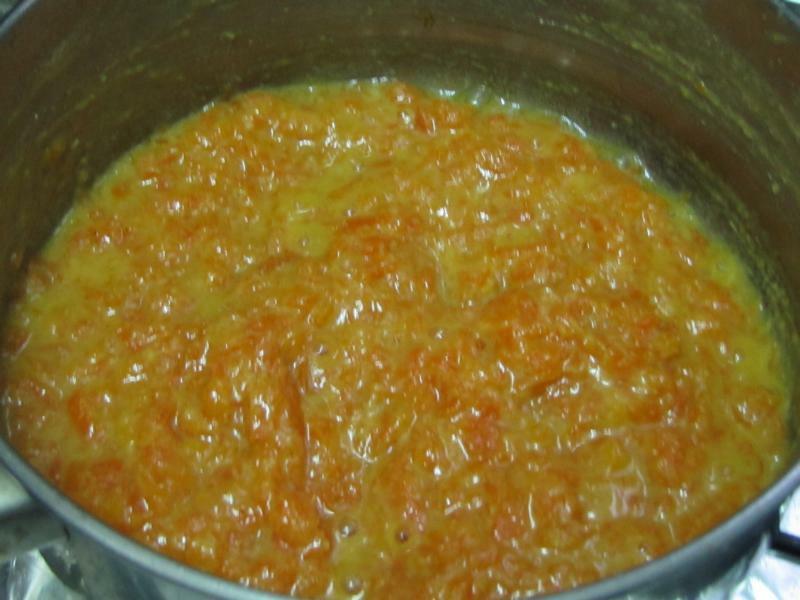 What a lovely looking carrot pudding! thanks for sharing!